Provide comfort for the family of David Bunnell with a meaningful gesture of sympathy. David Raymond Bunnell, 73, of Hinsdale, MA, passed away February 7, 2019 at Berkshire Medical Center. Born in Pittsfield on December 22, 1945, he was the son of the late James and Rita Therien Bunnell. David was a 1965 graduate of Wahconah High School. As a young man, he worked in his father’s machine shop in Peru, MA. And for many years, David was a self-employed carpenter often using his knowledge and skills to help family and friends. David was an enthusiastic sports fan and also enjoyed playing sports. He was an avid golfer, bowler and loved playing and coaching volleyball. He was an award-winning volleyball coach and a dedicated and caring Special Olympics coach. David was a talented artist. He also enjoyed playing cards and appreciated all types of theater and musical entertainment. David volunteered regularly at the Hinsdale Fire Station for their social gatherings. He had a great sense of humor and was a loyal and generous friend. A special tribute from one of his players: “David Bunnell was a volleyball fanatic. 25 years ago He was known for always bringing new people into the league, sharing his love of the game with them. He’d run clinics for newcomers at Morningside in his spare time just to help spread the joy of volleyball. He helped coordinate and run tournaments for charity. He built ref stands for our beach courts when the league didn’t have the funds. He coordinated with the city and originally installed the two sand courts there. He was able to have all the sand donated as well as all the materials for our storage shed, which he built for us in his spare time. In his later years Dave was the assistant coach for St. Joe alongside Peter Strack, doing what he’s always done, promote volleyball. In 2007, Dad was inducted into the Volleyball Hall of Fame in Holyoke, MA. 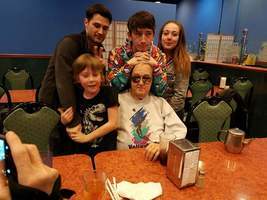 Mr. Bunnell is survived by his daughter, Candace Bunnell-Levesque and her husband Keith of Pittsfield; his son, Jason Bunnell, with whom he lived; four grandchildren, Jonathan and his fiance Cailin, Lillian, Garrett, Jr., and Kyle; and his great-grandson Eoin. He also is survived by his sister Bonnie DelMolino of Cheshire. He was predeceased by his brother, Michael “Mickey” Bunnell and sister, Linda Jayko. 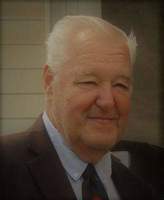 FUNERAL NOTICE: Funeral services for Mr. Bunnell will be held, SATURDAY, March 2, 2019 with a Liturgy of Christian Burial at 11:00am at St. Agnes Church. Calling hours will precede the service from 9:30-10:30am at Dery-Foley Funeral Home, 890 E. Main St, Dalton, MA 01226. To send flowers in memory of David Raymond Bunnell, please visit our Heartfelt Sympathies Store. Provide comfort for the family of David Raymond Bunnell by sending flowers.